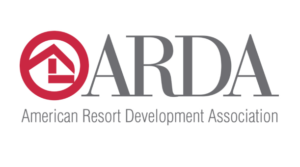 The American Resort Development Association, known as ARDA, will be hosting ARDA World 2018 on May 6-10 at Caesars Palace in Las Vegas, Nevada. This annual global timeshare convention is expecting nearly 2,000 guests from 35 different countries that work in all areas of the vacation ownership industry. The ARDA World convention offers the opportunity for industry-leading professionals across the globe to come together to learn, share, and discover new ideas. Throughout the five day conference, there will be meetings, education sessions, fun events, and exhibitions. The conference is a great way for attendees to strengthen partnership while networking and building new connections. Keynote speaker this year is Robert Stevenson, a best-selling author and expert at building a high-performance corporate culture, while also improving efficiency and accelerating growth. This year’s ARDA World will also be bringing back one of the most popular events—The Lion’s Den. This event is based on the TV show Shark Tank, where companies can pitch their products to industry ‘Lions’ and receive feedback. Other events taking place at ARDA World 2018 include Meet the Leaders panel, new Sales & Marketing Leaders Panel, the Awards Gala, the Breakfast of Champions, and Interval International’s Party with a Cause. This party will feature alternative rock band Collective Soul and the proceeds will go towards ARDA International Foundation (AIF). For the best networking and business development opportunities, guests can check out the Marketplace with meeting rooms, interactive kiosks, and private meeting rooms. The “Digital Zone” will also be back for a third year, where attendees can engage in social media discussions. Fans can follow said discussions by following @ARDAorg on Twitter and the hashtag #ARDAWorld. Registration for ARDA World 2018 is open and sponsorships are still available. Visit their website for complete details.